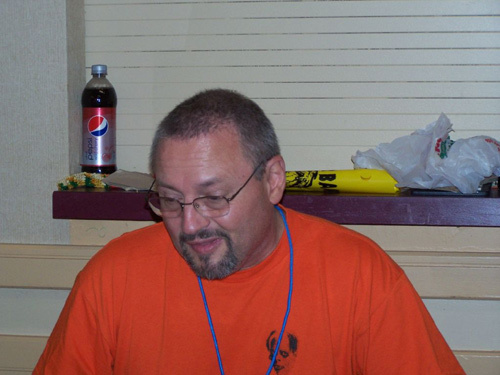 Photos provided by Barb Heiss, Kevin Slick, Brian Keegan, Theron Statler, Ted Lewczyk, Mark Statler, Henry Penn, Jerry Armellino, Michael Joyner, Karl Spisak, Phil Smoot, Reel Majik, Steve and Maxine Wrzesien and others - thank you! 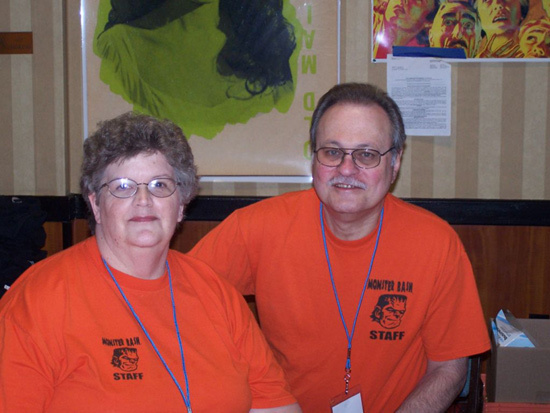 Two of our star players at Monster Bash - staffers Barb Heiss and Jerry Armellino! 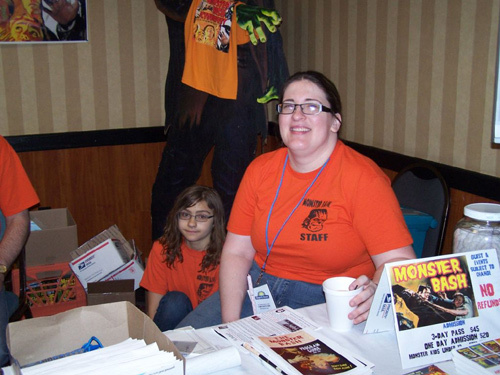 Creepy Classics Central at Monster Bash is a family affair with Tami (Ron's sister) and Tom Adams (Ron's dad)! More great behind-the-scenes people: Paisley and Alice in Wonderland! Paisley Adams and Alice Rader. Thom Shubilla in The Creepy Room! Ursula when she wasn't blue and wearing fangs. 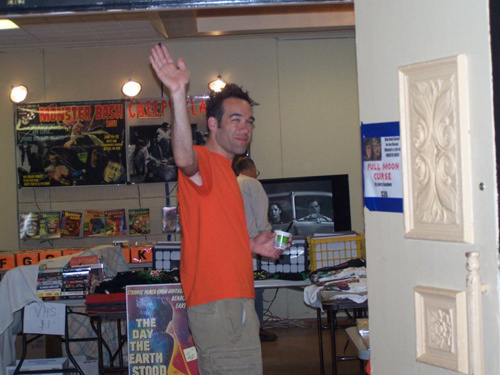 The kingpin of "Bob's Bin of Bargains" and one mean drummer - Bob Pllegrino. 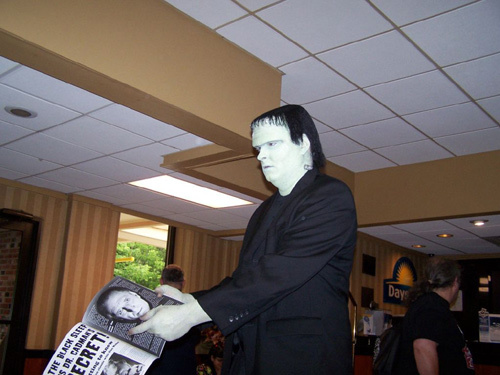 Dan Weber as the Frankenstein Monster points out his favorite article in the latest Monster Bash magazine. 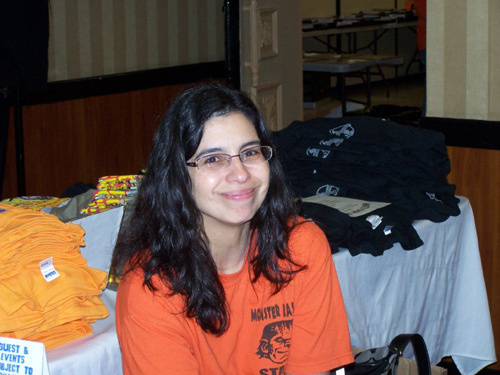 Proprietor of "Leonard's Lair of Loot" whose goal is to topple "Bob's Bin of Bargains." A stray dog was roaming the halls on Sunday thanks to make-up from the Reel Majik team. 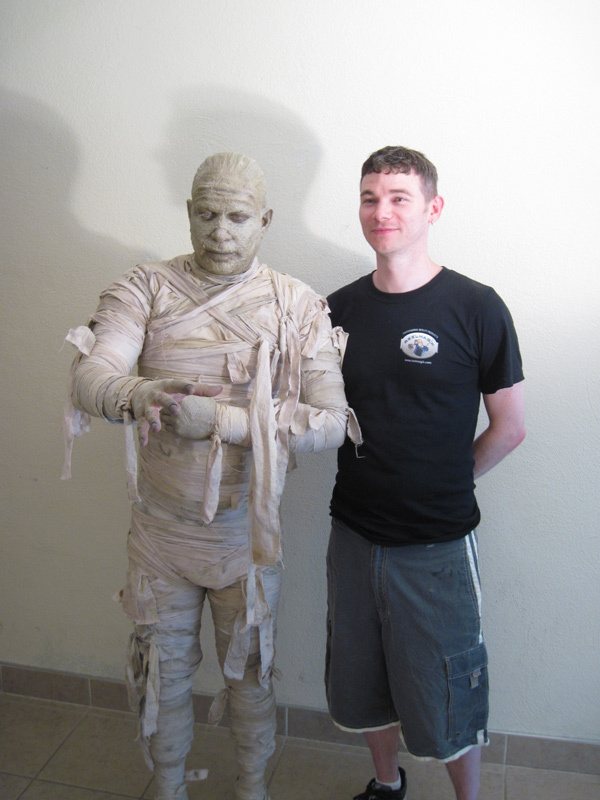 The Mummy with his Daddy....make-up man Jesse Melchior. A Happy Mr. Hyde was happy to scare the crap out of attendees on Hyday...I mean Friday. 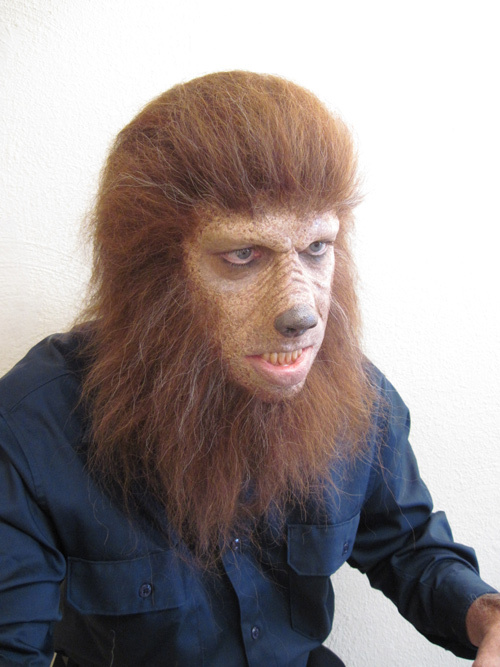 Leonard Hayhurst was superb with make-up by the Reel Majik team. 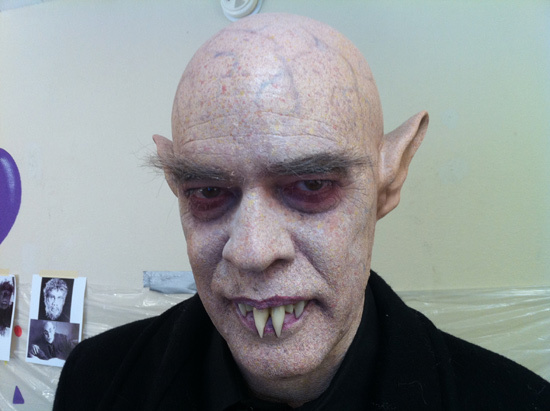 Nice detail on the Nosferatu make-up for Bash. Kharis, Mary Ann and Hyde.....the new Crosby, Stills and Nash. Tom Savini complains about the fleas. Too realistic! 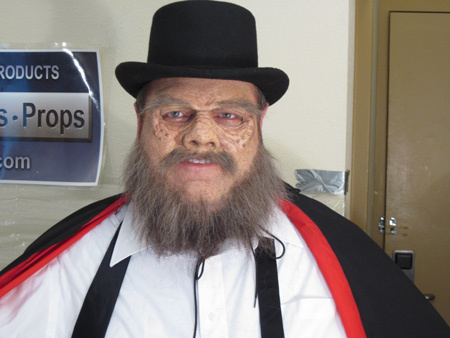 Make-up from Jesse Melchior and company....our buddy Charlie in the make-up! 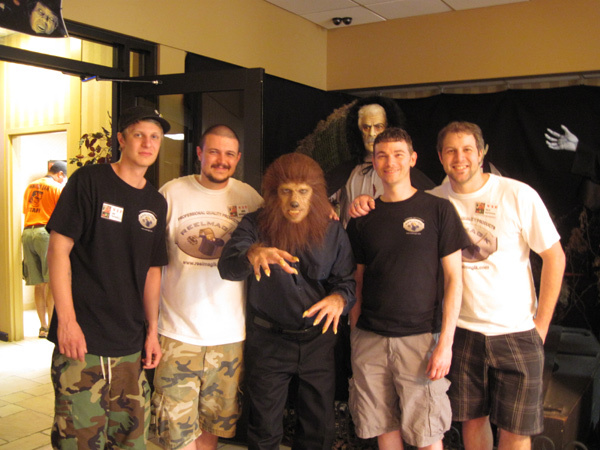 The Monster Bash Make-Up Deparment is Reel Majik with make-up chief Jesse Melchior. Caroline Munro, Monster Bash attendee, Yvonne Monlaur and Veronica Carlson. 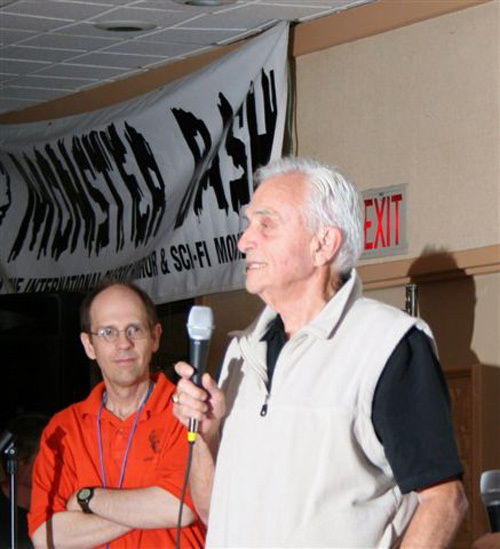 Ron Adams of Monster Bash with actor Ed Nelson. 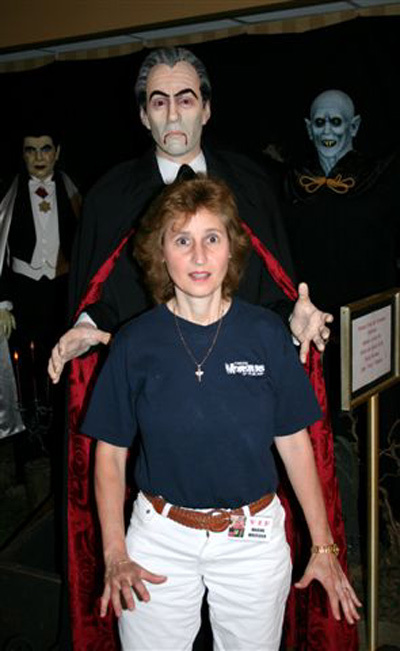 Count Gore De Vol puts the bite on Maxine. 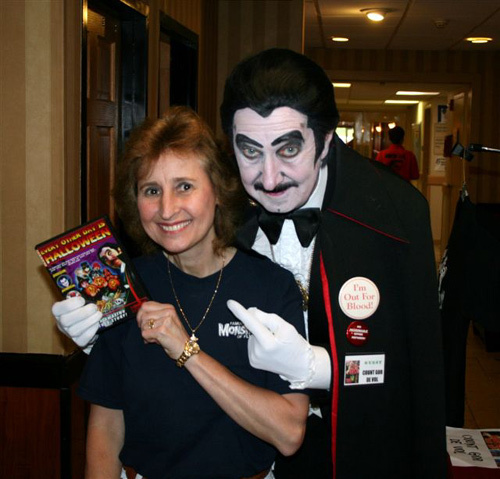 Don Reese strikes a pose from the cover of his DVD and about clobbers attendee Steve Wrzesien. 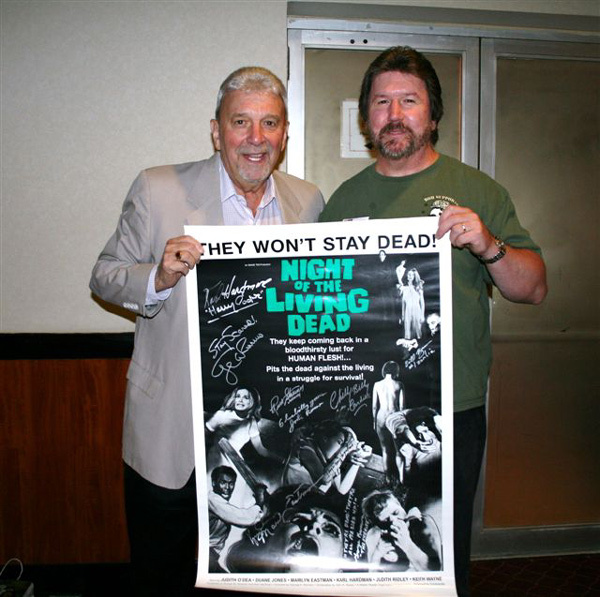 Chilly Billy with Steve Wrzesien and a the poster from NIGHT OF THE LIVING DEAD (which featured Bill). 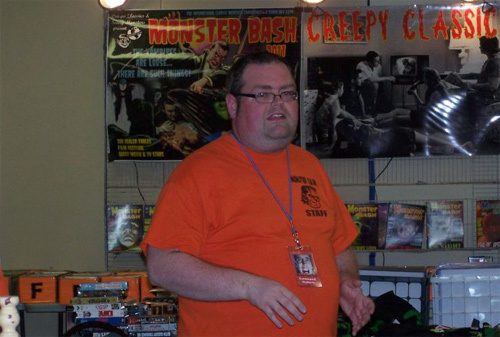 Author and Promotor for the great Mid-Atlantc Nostalgia Convention, Martin Grams at Monster Bash. 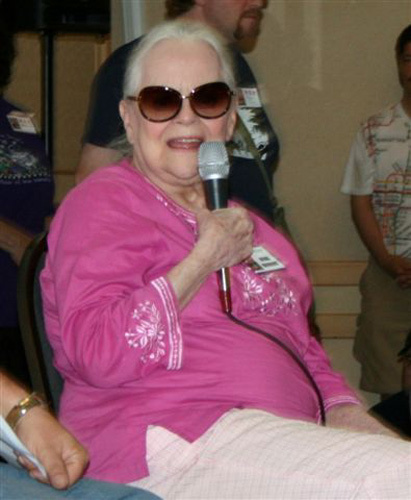 Norma Eberhardt, the star of THE RETURN OF DRACULA at her Q&A session moderated by Bob Pellegrino.